You’re ready to take your first steps into the world of botanical personal care, so you’ll need an essential oils guide to get started. Because essential oils can seem very expensive, you’ll need some help navigating your way to ensure you head in the right direction without wasting your time or money. Essential oils have proven themselves to be effective for a number of health and medical conditions. Their pleasant aroma can turn a stressful environment into a calming one you love to come home to. A drop or two can make a pimple or rash seemingly disappear overnight. Essential oils have many uses, from skin care to first aid to chemical-free home care. Along with a host of benefits, essential oils carry some controversy over their efficacy. Sometimes, they can cause an allergic reaction. And because many contain volatile oils, they can also cause irritation to your skin. And you should never use them internally without your doctor’s knowledge. Understanding essential oils and their safety and effectiveness before trying them can not just save you money. It may also save you a trip to Urgent Care. The good news is that most essential oils you can readily purchase are generally considered safe by the medical community. 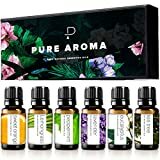 But it’s a good idea to access an essential oils guide to know which oils are safest, which are most effective, and most importantly, how to choose the right own from the thousands on the market. Manufacturers produce essential oils most commonly by two basic methods: distillation or expression. In distillation, the manufacturer places the herbs and flowers in steam or water, which slowly removes their active constituents. Similar to distilling liquor, this “good stuff” rises in the pipes from the steam and goes into the condenser. This cools the steam and returns the steam back into a liquid. The essential oils from the plant matter then float on top of the water for collection. Manufacturers use expression, often called cold-pressing, primarily for citrus oils. In this process, the rinds of the fruits are punctured to release the oils, and then they are expressed further by centrifugal force in machines built for the purpose, called a centrifuge. Absolutes are another form of extraction from botanical materials, this method uses solvents to remove the desired chemicals. Manufacturers often use this to obtain fragrances from delicate plant materials that don’t readily yield the right fragrance from distillation or extraction. And although some practitioners consider absolutes less effective, they’re often employed in aromatherapy for psychological lift the fragrances offer. One of the less common methods rarely mentioned is called “enfleurage,” used to extract the scents and oils from flowers. In this method, the plant oils are extracted into a neutral oil that absorbs the aroma and other chemical components. Currently, this method has only survived to modern-day Southern France. This modern method extracts more of the chemical constituents, including some that are not normally accessible through other methods. In this method, the manufacturer uses carbon dioxide (CO2) under pressure, which results in a liquid extraction solvent. Because it can move more readily through the plants cells and structure, it can extract more of the volatile oils, including those for medical benefits. This is a relatively new method and concern about the inclusion of pesticide residues heads the list, along with their expense. When this method is used, manufactures extract the desired constituents with solvents like methanol, ethanol, or hexane. This results in a bit of a messy mixture that includes chlorophyll and any fatty acids as well as the fragrance. When shopping for essential oils, you’ll notice a few terms new to you. In order to help you choose the best oils for your purpose, it’s important to understand the common types and labels you’ll find when selecting them. 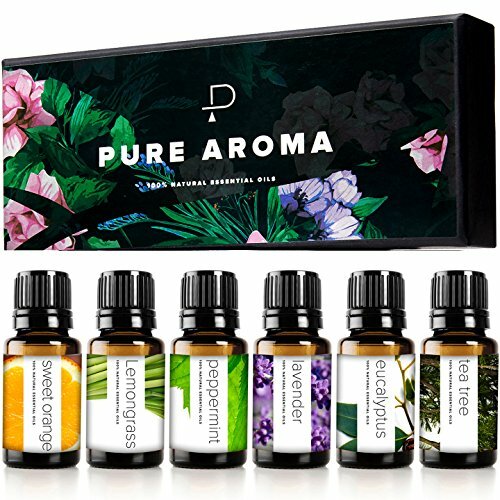 The name “pure” in reference to essential oils means that the oil has been extracted from only one type of plant matter. The term doesn’t really indicate more than that. For example, a bottle labeled “Pure lavender essential oil” contains only extractions from lavender. What it doesn’t have is a carrier oil or essential oils from other plants. Unfortunately, It doesn’t indicate that the product is free of residual pesticides or other chemicals. The term can be confusing for someone new to aromatherapy, and it may seem like a bit of marketing hype. However, labeling the oil as pure helps narrow the purchase down for those using it. For those using it topically, it lets them know that they will need to add it to a carrier oil first. For those who blend oils for fragrance, it’s especially useful for create personalized perfumes without other scents complicating the blend. Because the extraction process removes so many chemical components of the flowers and leaves used, many aromatherapists choose to use organic essential oils exclusively. As we noted in the section about CO2 extraction, one concerned about essential oils revolves around whether or not they contain residues from pesticides or herbicides. The one place you will find a US governmental regulating body involved in essential oils is in organic certification. The US Department of Agriculture regulates the organic food industry, and their standards apply to plants grown for use in organic essential oils. Growers must adhere to a wide range of strict prohibitions, including the use of most synthetic chemicals such as pesticides and fertilizers. Organically grown plants may not contain more nutrients than those grown with pesticides and fertilizers. However, many organic advocates claim they simply taste better. Standard agriculture practices promote fast growth for maximum profit. This results in larger fruits and vegetables that haven’t had time to develop their flavonoids. And the use of pesticides results in produce with lower anti-oxidant levels. It appears that slower growth in a more challenging environment results in more potent plant constituents. In the case of essential oils, organic may also indicate that their chemical components are more fully developed and potent. Most people would assume that “therapeutic grade” grade oils are suitable for use in a medical setting. After all, many health providers are using aromatherapy to soothe nervous patients as well as dermatology practice. However, because there is no national standard for the use of essential oils in the United States, the term “therapeutic” is one invented and used by manufacturers. It doesn’t mean that the oil has been held or tested against any particular medical or scientific standard. In the past, some shady MLM companies have used the term in the past for marketing hype. The term was even once banned by the National Association for Holistic Aromatherapy (NAHA). However, currently the terms “therapeutic grade” and “aromatherapy grade” are used by many fine manufacturers to define lines of fragrance oil and aromatherapy oil. If you choose to work with one of them, make sure you examine exactly what they mean when they use them. One company has trademarked the term “Certified Pure Therapeutic Grade” for the purposes of making their products seem more concentrated or superior. But note that this is simply a trademark term, as there is no authority for standardizing the quality of essential oils. Unfortunately, these deceptive marketing practices do nothing to enhance the credibility of aromatherapy or the use of essential oil. That said, know that the terms “essential oils” and “fragrance oils,” which have been used for decades, fulfill the same purpose without the controversy. In many cases, essential oils are packaged as a blend, rather than a “pure” or “single” source oil. This is because so many of them work well together for the same purpose. And you’ll find this true whether you’re using them for aromatherapy or dermal application. For example, lavender and rosemary are both useful oils for healing skin. A blend of menthol and thyme oil have been show to reduce symptoms of gingivitis. Buying blended oils allow you to purchase these products without the mess and expense of buying two separate oils and mixing them. You’ll find this particularly useful when the blend contains an oil for which you only have one use. 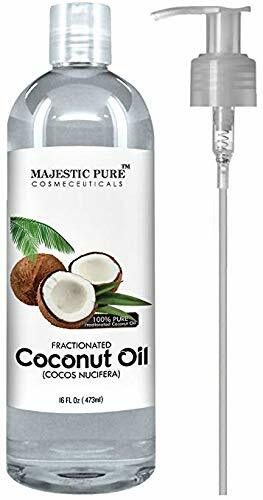 Carrier oils, sometimes called “base oils” are neutral oils, usually vegetable oils, manufactured for use with essential oils. The plant oils can irritate the skin, and this reason, most dermatological or cosmetic use of essential oils require a carrier oil. Some carrier oils even bring along their own fragrance or beneficial properties. For example, sweet almond oil in a common carrier oil for massage. You’ll find it supplies its own pleasant aroma to any massage blend you create. Calendula: Anti-inflammoarty for treating bites and other small wounds. Although all nourishing for the skin, these carriers are generally offer fewer medical benefits, and you can usually find them at a lower prices than those above. You may see some of these in the grocery store, but they may not be fresh enough for topical application. Stick with oils made expressly for cosmetic use, or choose cold-pressed oils only. Other bases for using essential oils for topical application include “butters” and gels. If you prefer a lighter texture for applying your essential oils, go with a whipped vegetable “butter” made from cocoa, shea, or coconut. These tend to apply more evenly, particularly on large areas of the body. You can also use aloe vera gel as a base carrier. Although not an oil, it brings its own medical benefits. Aloe vera has been tested in a number of dermatological studies and results show that it speeds wound healing and improves skin barrier function. Most importantly, however, it helps other substances permeate the skin layers. This means it helps your skin absorb any essential oils you apply, making them more effective. 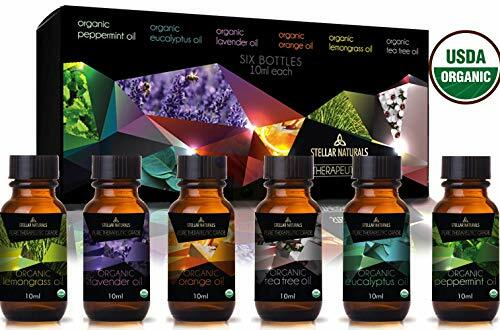 While the popularity of essential oil use has boomed in recent times, there are several that have been in circulation in the most mainstream ways for decades. While most have been used as fragrance oils for many years, their effectiveness has only been studied closely in recent years. You may already familiar with “” found in many products for respiratory congestion. You may have seen it in chest rubs for colds or part of the “mentholated” formulations for body powder. Camphor essential oil works similarly with its sharp scent. It also stimulates blood flow to the skin and works well for aromatherapy massage oils for sore muscles and aching joints. It also makes an excellent pesticide and repellent for the home or garden. Note that you should never use it internally, as it can be quite toxic. You should also never use it on young children. Another bug repellent in common use around the household, cedar wood oils repels moths, making the wood a traditional liner for closets. Less well known are its anti-fungal properties, which work against common skin infections like athlete’s foot and dandruff. The odor alone can help de-stress you and alleviate boredom at work. Most of us are familiar with the mosquito repellent qualities of citronella. But did you know it might help you lose weight? Although the study involved rats, scientists found that rat subjects ate less after inhaling the scent of citronella. Make sure you have plenty on hand during your next summer cookout to keep mosquitoes and greedy eaters under control. Long used as a topical anesthetic for teething and dental pain, clove can be used to numb skin and stop itching. You can also use it as a microbiol agent to kill bacteria and candida on the skin. Common in furniture polish and recently hugely popular as an antibacterial agent in cleaning products, orange oil lends a bright, refreshing aroma. The scent of orange oil produces feelings of comfort and relaxation. Along with the pleasant scent, it can help clear sinus congestion, as well as reduce food-borne pathogens like Salmonella in food preparation areas. Another popular plant-based fragrance oil, people have used patchouli in incense, oils, and perfumes for many years. As well as giving your scented candles and massage oils an exotic aroma, patchouli oil may have anti-cancer properties for both colon and lung cancer. This common ingredient in household cleaners has become axiomatic, mainly because pine is such a refreshing scent without being too cloying or overpowering. Its also said to help clear the mind when used in aromatherapy, helping to lift fatigue, and encourage better mental focus. Sandalwood has become a popular fragrance oil for its seductive aroma, making its way into a number of perfumes and massage oils. But along with its sensuous fragrance, sandalwood also makes an excellent anti-inflammatory for topical use. And there may be more to its common use as an aphrodisiac than folk wisdom. The aroma of Eastern Indian Sandalwood increases arousal, expressed by elevated pulse rate and increased systolic blood pressure. Sandalwood can also treat viral infections of the skin, including the human papillomavirus and Molluscum contagiosum. A recent study showed 8 out of 10 subjects with viral warts treated to complete resolution after 12 weeks, with the remaining two subjects showing improvement. Nine out of 10 children treated for Molluscum contagiosum also saw a complete cure of Molluscum contagiosum warts after 12 weeks of topical sandalwood oil. Sandalwood oil, and more specifically, its active constitution, alpha-santalol, seems to have anti-cancer properties as well. Note that testing is still in the initial stages. However, the component is known for is “cell-killing properties” against skin cancer. This popular flavor for chewing gum does more than cover up bad breath. Its anti-bacterial properties reduce oral bacteria and the production of plaque. This useful and pleasant-smelling essential oil is also effective against Salmonella and Helicobacter pylori. Not a member of the mint family, wintergreen is still commonly found in confections as a “mint flavor.” The essential oil includes high levels of methyl salicylate, the same ingredient found in aspirin and medicated face wash for acne. This means it can burn and irritate the skin. You should never use it internally, even if it smells delicious, as multiple individuals have ended up in the emergency room due to wintergreen poisoning. In minute amounts, you can add wintergreen oil to massage oils, as it works as an analgesic for painful joints. It also causes irritation, however. Keep away from children at all times, and consult your healthcare provider before using. You may also find commercial preparations of blended essential oils in safe proportions for external use, but exercise caution, testing your tolerance levels in small areas of skin. 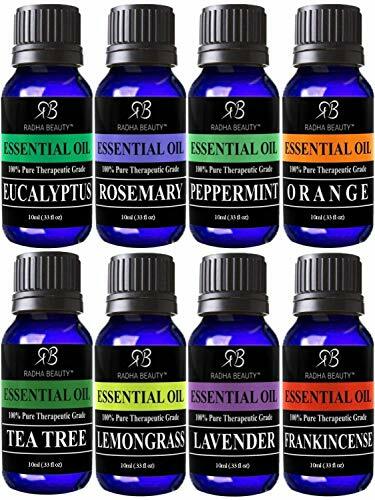 Most people begin their adventure into essential oils through aromatherapy. This practice uses the physio-psychological effects of the aromas of the very oils to improve mental states and moods. Essential oils, however, might not always seem pleasant. They may strike you as too medicinal or just “too weird.” Confusing aromatherapy with perfumery is an easy mistake to make. However, the human brain doesn’t just react to pleasant aromas. Our olfactory system connects directly to the limbic system, the part of the brain that affects mood, behavior, and memory. That’s why a familiar scent will evoke memories more fully and easily than say, a familiar sound or sight. In this way, aromatherapy uses targeted scents to alleviate stress, depression, or insomnia. Most practitioners use essential oil diffusers for aromatherapy. These devices take the essential oils and vaporize them into minute particles and expel them into the air. The makes it possible for the oils to disperse throughout a room. 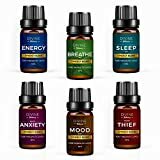 There’s still some debate on whether aromatherapy oils affect us only psychologically or if its possible that the volatile particulates are absorbed by the skin and nasal passages for a more direct affect. Generally, aromatherapy is considered safe and inhalation of scents from essential oils is generally harmless. For aromatherapy, you want to select and use the oils most suited to your health concerns. Relaxation, de-stressing, and even oils that help focus and evoke energy can be used in a diffuser or inhaled directly from the essential oil bottles. Before using any essential oil on your skin, test a small amount on your skin for any allergic reaction or potential for sensitivities. Test on your forearm and wait 24 hours before using elsewhere. Always keep essential oils away from your eyes, ears, and nose. Wash your hands thoroughly after finishing with your essential oil bottles to remove any residue. Some essential oils are caustic and will burn if they touch sensitive areas of the body. This also prevents you from ruining clothing or other textiles with oil stains. Don’t use essential oils during pregnancy or lactation without consulting your physician. And talk with your healthcare provider before using essential oils internally. Be sure to use a carrier oil with your essential oils before applying topically. This not only prevents and reduces chemical burns and allergic reactions, in some cases it can help your skin absorb the active botanical oils. Once you’ve chosen your essential oils, add them to your diffuser per the manufacturers instructions. You can also add a few drops to a spray bottle filled with distilled water for an aroma spray. Try your new aromatherapy routine whenever you feel stressed out or overwhelmed. Many advocates recommend adding a diffuser to the bedroom to disperse lavender oil for better sleep. Using essential oils in your living spaces can uplift your family’s mood and reduce tensions. Their proven anti-bacterial and anti-fungal properties mean they’re also superior for keeping your home clean and germ-free without synthetic chemicals. Remember, your mileage may vary. Because no essential oil – or any other health treatment – works for everyone, don’t become discouraged if your experience isn’t as expected at first. Another essential oil may prove to be a better solution for you, or perhaps a blend of several kinds. Enjoy your journey into this fascinating and health-giving field.